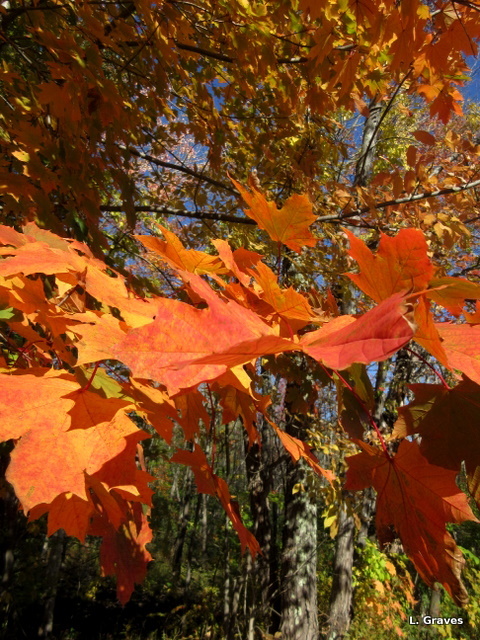 On Maine Public Radio, I heard that this weekend is peak color for foliage in central Maine. It seems that adults await this weekend as eagerly as children await Christmas. And why not? The countryside is awash in color, and beauty comes from every angle. All a person can do is give thanks to nature for this generous gift. Previous PostWalking with LiamNext PostLeaf Peeping or Bird Watching? That is a beautiful picture – My daughter went north last weekend – She said it was leaf peeper weekend ( in Massachusetts). I thought that was a great name. That is what they are called, leaf peepers. What a time of year! No wonder people come north to see the glory. I do feel like a kid at Christmas – the weather and colors have been so glorious! They have been. It seems the drought didn’t stop the brilliant colors. Beautiful. What a great time of year. Our leaves have started to change and it’s pretty here too now, but we’re a couple of weeks away from the kind of colors you’re getting now. Enjoy! Thanks, Bill. Fall is rippling your way, and soon you will be awash in beauty. I always love this time of year in Maine.